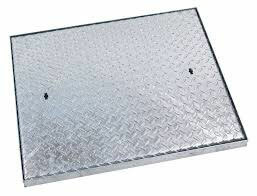 Light duty steel covers are extremely common and are the most economical option for most domestic applications. We stock a range of standard drop in covers as well as some slightly heavier duty covers with incorporated rubber seals to prevent ingress of odours. Steel is extremely versatile which makes it the ideal material for bespoke manhole covers as we can offer any number of adaptations and additional features. Upstand covers and flush fit access covers for use on reservoirs and clean water pumping stations need to be of the most robust construction to protect the UK’s water distribution networks. Our terrorist proof steel access covers can be fabricated to LPCB 4 rating and have numerous additional features added including vibration or access alarms. 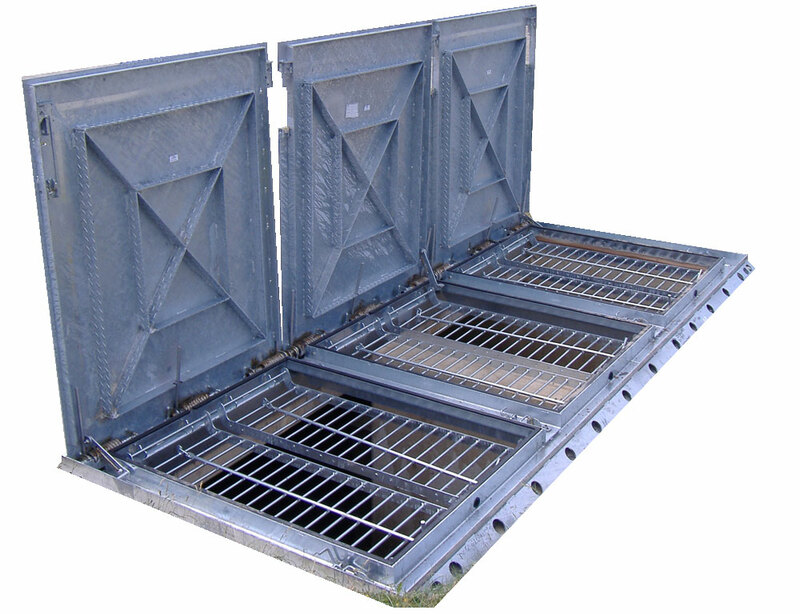 Waste water pumping stations and wet well covers can be fabricated to suit any size chamber and can again incorporate numerous features such as built in safety grilles, high security locks, hinges, seals and assisted lift manhole lids with safety stays.